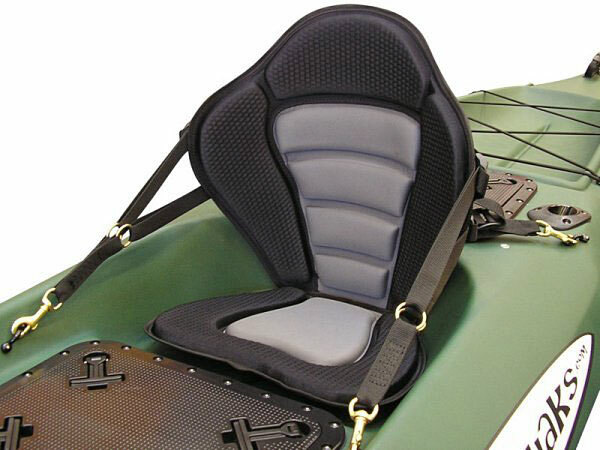 Deluxe Fishing Kayak Seat with Removable Cushion. 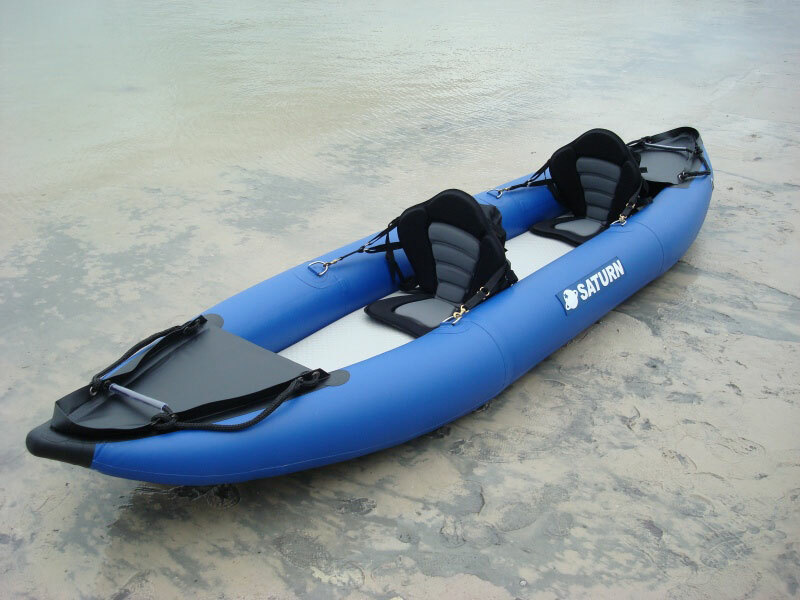 Deluxe Molded Sport Fishing Kayak Seat with FREE Extra Cushion. Deluxe kayak seats with detachable back packs and fishing rod holders. Great for kayak fishing in comfort. 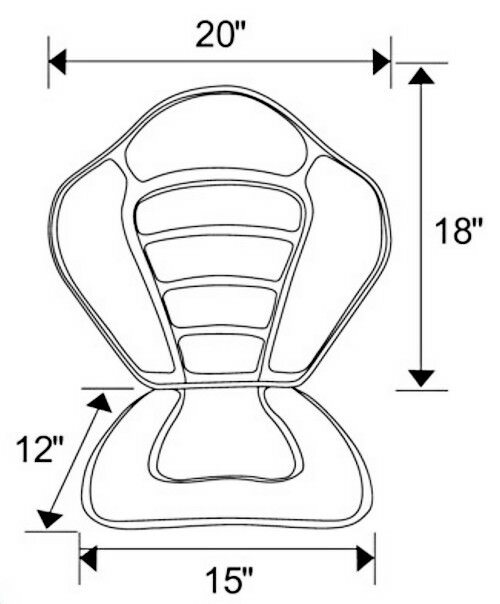 NEW V2.0 of Sport Fishing Kayak Seat now comes with detachable cushion to lift seat higher. 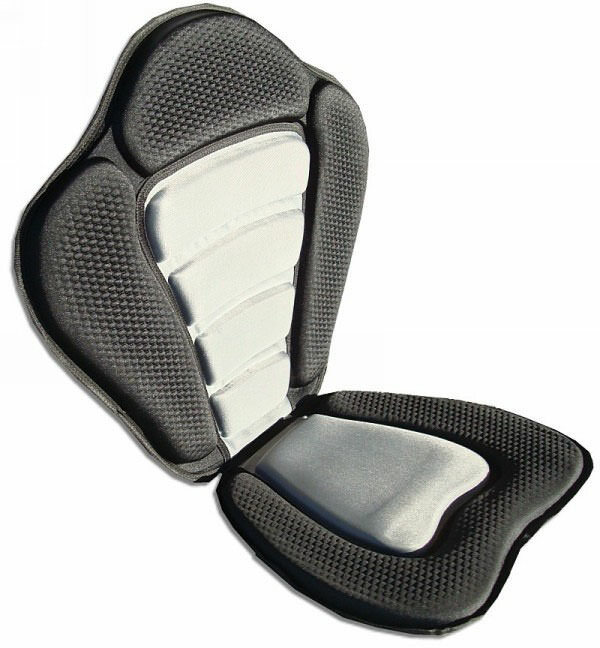 The Deluxe Molded Foam kayak seat looks like it belongs in a high-end sports car rather than a kayak with its deep molded center panels and the contrasting black molded foam perimeter padding. 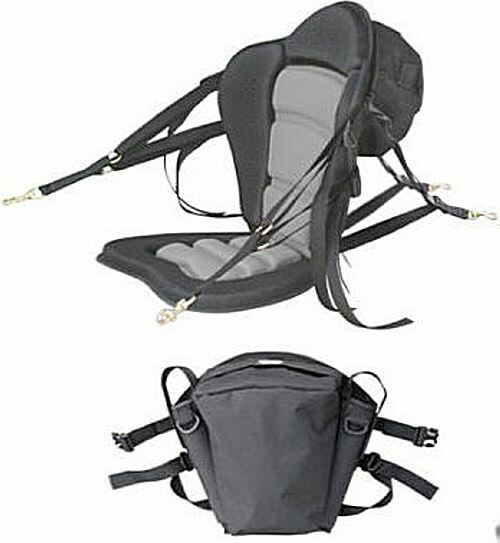 It has new widened rear attachment straps for even more solid positioning, which helps prevent seat slippage. 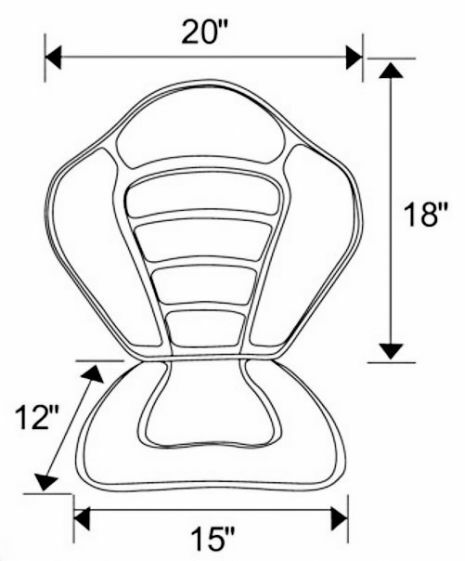 The ergonomically sculpted 18'' tall back portion of the deluxe kayak seat offers maximum high back support encouraging a long day of kayaking without having to worry about ample back support. The Deluxe Molded Foam kayak Fishing Seat comes with a generous detachable zipper pack that has two solid plastic molded fishing rod holders incorporated into it. These molded rod holders have built-in fishing rod securing straps that easily wrap around your pole and Velcro down providing painless access while giving the paddler piece of mind in knowing the rod is safe. 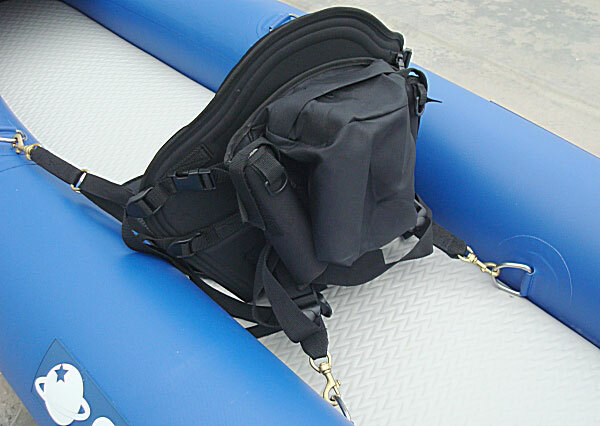 Detachable 2" cushion for dry ride and throwable PFD. Shipping Size: 21 x 18 x 7.5"
NEW, Lower price than before!